Photo: Lennox Mclendon/Associated Press. 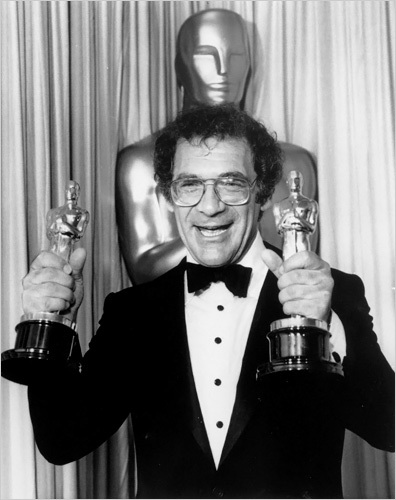 Sidney Pollack winning Oscars for Best Picture Out Of Africa, nominated for 10 Oscars. Pollack became a prolific producer of independent films in the latter part of his career. With partner and filmmaker Anthony Minghella, he ran Mirage Enterprises, a production company whose films included Minghella's "Cold Mountain" and the documentary "Sketches of Frank Gehry", the last film directed by Mr. Pollack. Gallery photo of Sydney Pollack: courtesy of Associated Press. Sydney Pollack, was a Hollywood mainstay director, producer and sometime actor whose movies "The Way We Were," "Tootsie" and "Out of Africa" were among the most successful of the 1970s and '80s. He won Emmys and Oscars for his talent long admired by his peers. In his later years Pollack acted as an elder statesman. He was executive director of Actors Studio West, chairman of American Cinematheque, and an advocate of artists' rights. ISA helped staff the Pollack home for years. We greatly feel the loss of his contribution to film and the world to make it better through his unique vision.